Sarah Neufeld is best known as the violinist of Arcade Fire, Bell Orchestre and the Luyas, but she's also staged some solo performances as of late, and last year revealed that she had an album in the works. As promised, Neufeld has now confirmed the details of her first-ever solo LP. 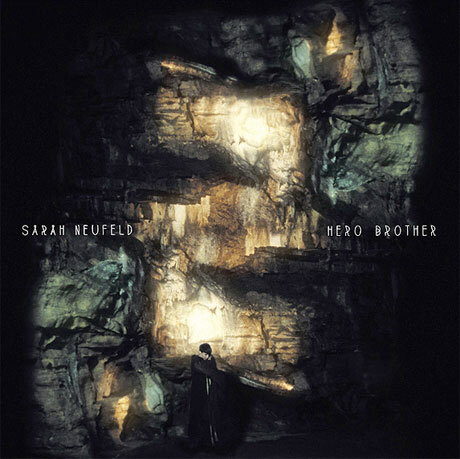 Hero Brother is out on August 20 through Constellation Records. The album was laid down in Berlin with Nils Frahm, who recorded Neufeld in various locales like an abandoned geodesic dome, an underground parking lot and Studio P4's orchestral recording hall. The resulting album is a collection of instrumental violin compositions that are occasionally fleshed out with hints of wordless vocals, harmonium, piano and percussion. Influences include Bela Bartok, Steve Reich, Iva Bittova and Arthur Russell, and the album "[flows] through shifting atmospheres and [oscillates] between restrained, stately ambience, emotive études, and raw kinetic energy." For a taste of Hero Brother, stream the title track at the bottom of the page. It uses a stomping kick drum to punctuate its nimble violin lines. An album teaser, plus Neufeld's prior performance for Exclaim! TV, is also below. Neufeld will be playing a number of solo shows in the coming months. Some of these gigs are with Colin Stetson, and there are a number of Canadian appearances. Scroll past the tracklist to see the itinerary.